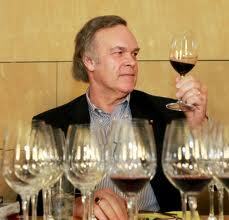 Robert Parker kindly set aside some time to speak to us this week. The first part of our interview with him is shown below and focuses on the Bordeaux 2009 vintage. The second part will be published on the blog on Monday. Check back to find out which vintages Parker believes he underrated, who may take over when he eventually leaves The Wine Advocate, and his views on the Pancho Campo MW affair. Reading your report, your enthusiasm for 2009 is immediately apparent. What were your expectations before you tasted the vintage and how long did it take for you to realise its greatness? I think there was precedent when I tasted the barrel samples. After I first tasted the wines in March 2010, I was so enthusiastic about the quality. And though it was still early, and the wines weren’t in bottle, I thought that a lot of wines had the potential to be the best wines these estates had made throughout my professional career of 32+ years. If you looked at the initial report of two years ago carefully, I suppose you could say that all the perfect scores and high ratings were not that surprising. There are a lot of high-quality vintages now. Bordeaux has had a tremendous run of good fortune, vintage wise, and at the same time they have made their own good luck with their commitment to quality. But it’s still the sort of vintage that we rarely see in Bordeaux; 2009 is like the high tide that raises all boats. And while people lament the fact that the First Growths have become like museum pieces – and are selling at prices that to people that have been around for 10 or more years look preposterous – there are a lot of great values in the vintage. When I came back from tasting I was telling people at The Wine Advocate about Senejac, Phelan Segur, some of the little St Emilions or wines from the Cotes – great wines that are of Classified Growth quality in 2009. It’s no secret that I like vintages where you don’t have to wait 25 or 30 years to drink them. I think that a vintage like 2009 is in the same family style as 1982 or 1990. You have this tremendous opulence and extravagant fruit quality, a lot of glycerine, high in alcohol (more so in 2009 than in 1990 or 1982), but it is alcohol that is hidden by the concentration. At the same time you have wines that are lower in acidity, although not defectively low in acidity, with very silky tannins. I remember when I first tasted the 1982s in March 1983 the complaint was “where are the tannins”. No one says that now, as the baby fat has fallen away and exposed the structure and terroir. You will be hearing the same things about the 2009s in the future. It’s just a magical vintage, a watershed vintage, and so many chateaux did such a great job. Quality is at an all-time high. Although the prices are historic for many wines as well! Was there one wine that made you just say “wow – this vintage is the one”?